Christmas Stories - scenes from my own stories about the lead up to Christmas. 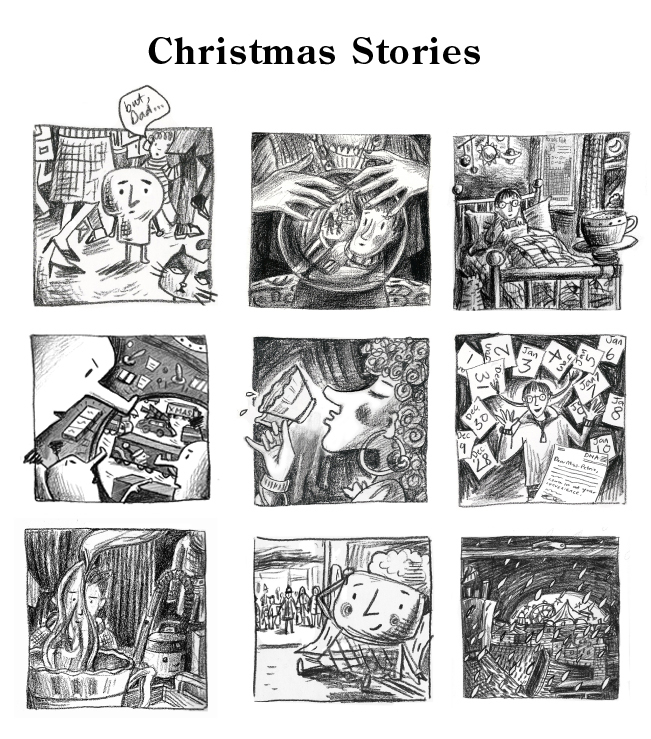 These images come from a set of 6 stories I wrote and illustrated on the run up to Christmas 2014 as part of my online Facebook art page Advent Calendar. Themes range from a scientific girl definitively proving Santa exists, an alien invasion on Xmas eve and a story of luck and strange fortune and tea leaves.